Adidas named music icon Beyoncé́as a creative partner and said it would relaunch her Ivy Park active-wear line under the German sportswear brand. 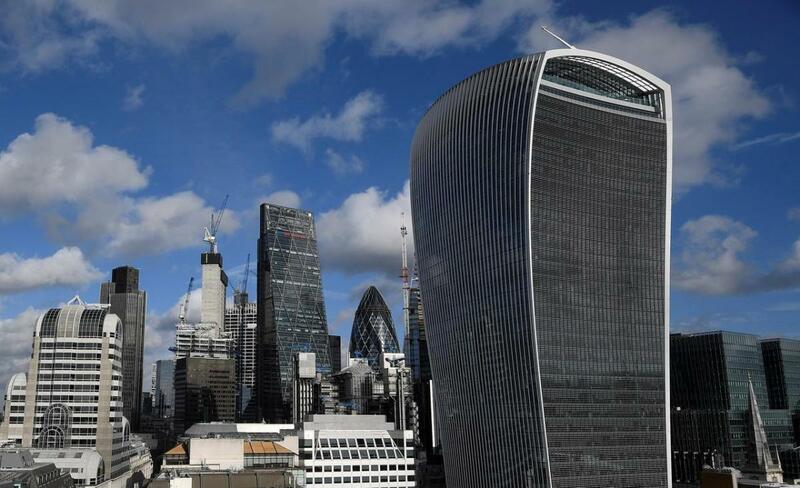 LONDON: The United Kingdom has lost £6.6 billion ($8.7 billion) in economic activity every quarter since it voted to leave the European Union, according to S&P Global Ratings, the latest company to estimate the damage from Brexit. The estimate is slightly lower than an assessment by Goldman Sachs earlier this week, which pegged the cost to the economy at about £600 million per week. That equates to £7.8 billion a quarter, according to Reuters calculations. A broad bill that amends the Controlled Substances Act to formally recognize state laws legalizing marijuana has the support of the financial services industry. President Donald Trump has decided to appoint former Republican presidential candidate Herman Cain to a seat on the Federal Reserve Board, according to a report by Axios. The report, which quotes two senior administration officials, said Trump will wait until the background check is completed before making the formal announcement. Trump's interest in selecting Cain for the Fed was first reported in January. The president has been sharply critical of the Fed's interest-rate policy. Trump has said he will appoint Stephen Moore to the Fed, but the White House has yet to send the nomination to the Senate. Moore and Cain would fill the two remaining vacancies on the Fed's seven-member board. NEW YORK/SINGAPORE: South Korea has begun testing super-light US oil sold by energy firm Anadarko Petroleum Corp. as a substitute for Iranian crude as it awaits word from Washington whether it can keep buying oil from the Middle Eastern nation, sources said. South Korea is one of Iran’s biggest Asian customers, and was one of eight importers that received waivers to keep buying Iranian oil when the United States re-imposed sanctions in November. Anadarko spokesman John Christiansen confirmed the company is exporting WTL, and said they “anticipate those volumes will continue to grow in the future,” although he did not confirm whether South Korea was testing this grade. South Korea’s top refiner SK Energy, and the country’s smallest refiner Hyundai Oilbank are studying the crude’s assay and testing samples, the sources said. South Korea’s interest in West Texas Light is occurring as record US oil production and exports have allowed the Trump administration to use energy as a pressure point in foreign policy. Its largest-scale efforts have been sanctions against Iran’s and Venezuela’s oil industry. Seoul has been negotiating with the United States to extend its waiver, saying there are few alternatives to the Iranian condensate it buys, according to a former US official. Yet to gain an extension South Korea will likely have to reduce its current imports by between 5 percent and 20 percent, three sources familiar with the matter said. South Korea, a close US political ally, also does not want to jeopardize its relationship with Washington. “They’re scared of Trump. They want to be able to say, ‘Look at me, I am buying all your crude,’” said Sandy Fielden, director of oil and products research at Morningstar. 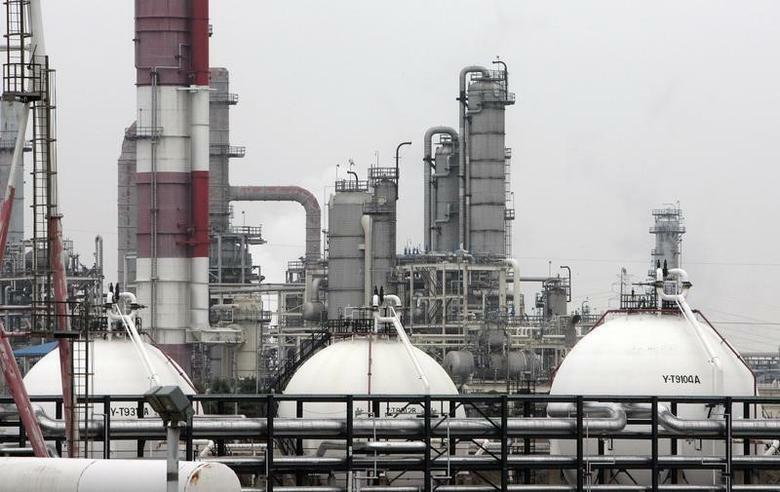 In talks last week with government officials, South Korea asked for maximum flexibility by stressing the importance of Iranian condensate for the South Korean petrochemical industry, according to a statement from the Ministry of Foreign Affairs released last week. Washington is trying to cut Iran’s oil exports to less than 1 million barrels per day (bpd), down from more than 2.5 million bpd last May. South Korea imported about 176,237 bpd of Iranian crude in the January to February period, according to data from the Korea National Oil Corp. (KNOC), down 38.5 percent from the same period a year earlier. US crude exports to South Korea averaged about 256,000 bpd in 2018, according to the US Energy Department. But, imports in February surged to 443,000 bpd, the KNOC data showed. South Korea has been buying other types of US light crude, but two buyers — SK Energy and Hyundai Oilbank — recently turned down cargoes of Eagle Ford condensate from Texas after the oil was found to contain impurities. WTL has largely been blended with other oil grades to be sold at the Cushing, Oklahoma, delivery point for US crude futures. Shares of Hudson's Bay Co. have rallied 7.4% for the week so far, but challenges at Saks Off Fifth, the company's off-price chain, give Cowen analysts pause. Hudson's Bay, whose portfolio of retail chains also includes the full-price luxury department store Saks Fifth Avenue and Lord & Taylor, reported a 2.1% same-store sales decline at Saks Off Fifth. Cowen analysts note that same-store sales at the chain have fallen for 12 consecutive quarters. On the Wednesday earnings call, Chief Executive Helena Foulkes said the company would put a new strategy in place for buying, marketing and more so that the chain will "operate less like a small department store and more like our version of an off-price retailer." Cowen thinks this will take time to execute and make an impression on shoppers. "HBC appears committed to the off-price sector but we do look for greater visibility into improved trends and a change in comps cadence," analysts led by Oliver Chen wrote. Cowen rates Hudson's Bay shares market perform with a C$10 price target. On the other hand, a Cowen note from February 28 touts the strength at Nordstrom Inc.'s off-price chain, Nordstrom Rack. "Nordstrom is leveraging Rack stores to exhaust full-line inventory, which helps flow newness into Rack store, and provides a tailwind to merchandise margins," the note said. Hudson's Bay shares have gained 9.7% for 2019 so far while the S&P 500 index is up 14.8% for the period. Global consulting firm Nihilent officially launched its first user experience (UX) laboratory on the African continent on Thursday. The facility, located in Bryanston, is the second of its kind globally, aside from Nihilent’s Indian facility, and was inaugurated by Public Enterprises Minister Pravin Gordhan. Nihilent executive VP LC Singh explained that the lab uses a patented design thinking framework and analytical tools to identify cognitive and emotional triggers, compiling consumer data based on nonverbal and verbal cues to humanise the interaction between consumers and technology. The lab has multidisciplinary teams of left- and right-brain professionals who work with customers to enhance the user experience. OSLO: Norwegian Air earned less money than expected from each traveler in March but its aircraft filled up at a faster pace than analysts anticipated, the budget carrier’s monthly traffic report showed on Thursday. The grounding last month of its Boeing 737 MAX jets following the deadly crash of an Ethiopian jet, has forced Norwegian to lease other aircraft as the peak summer season nears, further complicating its drive for profitability. “We have had some productive meetings with Boeing where we have discussed how we can manoeuver through the difficulties the MAX situation is causing Norwegian,” Chief Executive Bjoern Kjos said in a statement. Kjos, a former fighter pilot, on Wednesday said he had tested Boeing’s new flight control software in a simulator, finding it foolproof and adding he would gladly take his own family on board a Norwegian MAX aircraft. 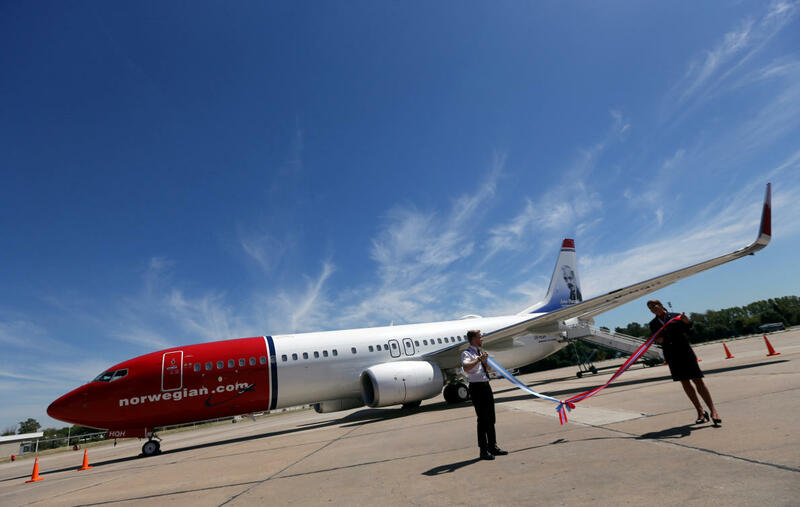 Norwegian’s March yield, a measure of revenue per passenger carried and kilometers flown, rose to 0.33 Norwegian crowns ($0.0385) from 0.32 crowns in February, while analysts in a Reuters poll expected an increase to 0.34 crowns. The airline’s load factor, showing how many seats are sold on each flight, stood at 85.4 percent for the month, beating a forecast 82.7 percent but was still down from 86.7 percent a year earlier. While the yield lagged expectations, the higher load factor helped compensate the shortfall, said brokerage Pareto Securities, which has a buy recommendation on Norwegian’s stock. The carrier’s first-quarter adjusted earnings before interest, tax, depreciation and amortization will likely swing to a profit of about 600 million Norwegian crowns ($69.93 million) from a year-ago loss of 880 million, Pareto added. Its capacity expansion, as measured by available seat kilometers (ASK), peaked at 51 percent growth year-on-year last June and has since declined, hitting 11 percent in March, lower than the 12.4 percent that analysts forecast. The mid-April Easter holiday is expected to boost Norwegian’s traffic numbers, the company said while noting that last year’s Easter had been in March. “Easter will always affect the figures positively,” it said. The company plans to use the new capital to pursue growth opportunities. There are a number of factors dictating the economic climate of the country and that are impacting on Citi’s forecast of future economic growth. This was a theme during a media roundtable held by Citi, in Johannesburg, on Thursday. The roundtable was presented by Citi chief economist for South Africa Gina Schoeman and Citi leading emerging markets economist David Lubin. U.K. manufacturers have built supply chains and export markets around free trade with Europe. A sudden end would rupture one of the world’s most advanced, cross-border assembly lines. The resulting stockpiling of supplies risks crimping growth—a problem that will continue even if there is an orderly exit from the EU. Independent elections analyst and management consultant Dawie Scholtz expects the African National Congress will again win the May 8 national election and secure an estimated 56% of votes. Scholtz, who was speaking at a panel discussion hosted by Herbert Smith Freehills, in Sandton, on Wednesday, used a prediction model based on data from polling and the previous by-election, splitting potential voters into various sets of homogenous groups. Independent elections analyst and management consultant Dawie Scholtz expects the African National Congress (ANC) will again win the May 8 national election and secure an estimated 56% of votes. Scholtz, who was speaking at a panel discussion hosted by Herbert Smith Freehills, in Sandton, on Wednesday, used a prediction model based on data from polling and the previous by-election, splitting potential voters into various sets of homogenous groups. LONDON: Regional business leaders run the risk of underestimating the threat of climate change, a World Economic Forum report has warned. A new analysis of regional risks found that economic and governance issues rank most highly as topics of concern among executives in the Middle East and North Africa. But environmental factors are “not top of mind,” despite being a real risk, the World Economic Forum (WEF) report found. The WEF’s “Middle East and North Africa Risks Landscape” report published on Thursday draws on data from the forum’s Executive Opinion Survey 2018 and Global Risks Perception Survey 2018-2019. Global respondents to the latter survey ranked “economic confrontations between major powers” as the greatest risk for 2019, and climate-change-related issues as the leading risk over the next 10 years. Yet the environment was not seen as a big risk by regional executives, despite the Middle East and North Africa (MENA) being home, for example, to numerous coastal ports that would be affected by rising sea levels caused by climate change. 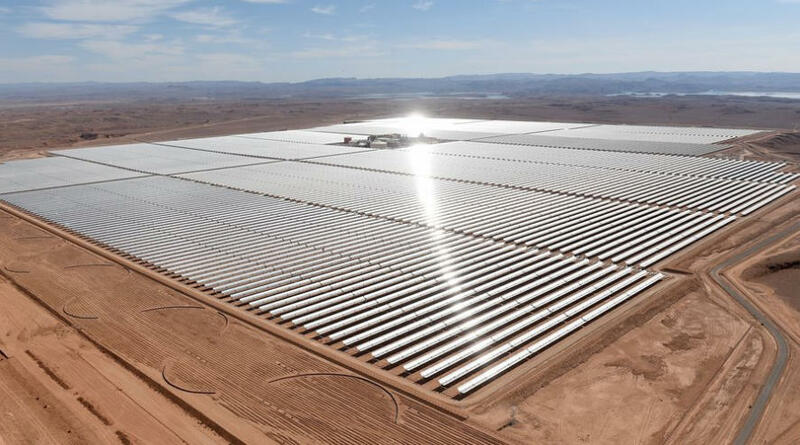 “Notably, business leaders in the MENA region who responded to the Executive Opinion Survey did not rank environmental change as a risk to doing business — a potential blind spot given the potential implications of global warming,” the report said. Mirek Dusek, the deputy head of the Center for Geopolitical and Regional Affairs and a member of the Executive Committee at the World Economic Forum, said that no one country was insulated from global risk factors. “In today’s interconnected world, risks no longer stop at borders on a map or are confined to one industry in an economy,” he said. The report was released ahead of the World Economic Forum on the Middle East and North Africa event being held on April 6-7 at the Dead Sea in Jordan. Diversified mining company Anglo American is implementing new techniques that give the company far more control over its tailings dams, which have been thrown into the spotlight after the tragic loss of life at Brumadinho, in Brazil, where an iron-ore tailings dam collapsed at Vale’s Corrego do Feijao mine earlier this year killing hundreds of people. The London- and Johannesburg-listed company has developed a new technique that provides information on the amount of water in its tailings dams and fibreoptic installations at some of its tailings storage facilities provide real-time monitoring of strain, deformation and seepage. Adidas AG announced a partnership with Beyoncé to relaunch and expand her Ivy Park athleisure brand. Ivy Park first launched in collaboration with TopShop owner Sir Philip Green in 2016. Beyoncé cut ties with Green in 2018 amid scandal. The new partnership will yield new merchandise that ranges from activewear to lifestyle items. Adidas also has a partnership with Kanye West. Adidas shares have rallied 23.7% in 2019 while the S&P 500 index has gained 14.6% for the period. Bank managers should remember their roots and keep their hands in business development, even as they climb the ranks. DUBAI: Saudi Agricultural and Livestock Investment Company (SALIC), an arm of Saudi Arabia’s state-owned Public Investment Fund, said on Thursday it has made its first acquisition in Australia. 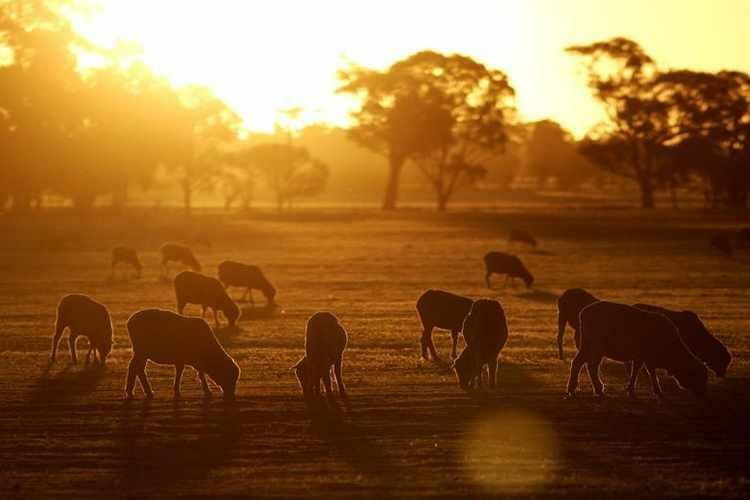 SALIC did not give a figure for the purchase of Baladjie Pty Ltd, an aggregation of over 200,000 hectares (494,200 acres) of farmland in Western Australia’s wheatbelt that also carries 40,000 head of Merino sheep. “It is our first acquisition in Australia as well as our first investment in sheep production,” Matthew Jansen, SALIC CEO said in a statement. Saudi Arabia began scaling back its domestic wheat growing program in 2008, planning to rely completely on imports by 2016 to save water. SALIC’s agricultural investments include farmland, grain silos and terminals, as part of Saudi Arabia’s food security drive. Shares of Tesla fell after the electric-car maker reported a day earlier a 31% drop in new-vehicle deliveries for the first quarter. The Eskom Technical Review Team, appointed in March to provide an independent assessment of the performance of the State-owned utility’s power stations, says several coal plants can, with strong and empowered leadership, meet the much-vaunted energy availability factor (EAF) goal of 80%. It has acknowledged, however, that some of the older stations are unlikely to ever again be in a position to meet the target. South Africa can unlock financial value and create meaningful outcomes for citizens in their daily lives by implementing key digital initiatives across government services and key industry sectors, professional services multinational Accenture said in a statement on Thursday. Research indicated that the value that can be added to society through such digital initiatives would be about R2-trillion and the value-add to industry could be about R3.6-trillion, and could be unlocked by 2026, said Accenture Africa CEO Vukani Mngxati. Expanding the scope of the Kimberley Process to include issues related to human rights and labour relations, as is being advocated by the World Diamond Council (WDC), will help create conditions in which Sub-Saharan Africa's artisanal diamond miners can meet their economic potential, and so support the development of their countries' economies, says WDC executive director Marie-Chantal Kaninda. In delivering the opening address at the sixth forum of the Africa-Belgium Business Week meeting on Wednesday, she referenced the peace agreement signed in February by the Central African Republic government and 14 rebel groups, which was aimed at ending the country’s seven-year civil war. Promoted | South African businesses are looking to move their operations to the cloud, and Vox is helping them make the shift by using a variety of Microsoft applications and technologies. Roads that are not properly and timeously maintained are costing South Africa millions of rands, as well as negatively affecting the economy and society, says South African Road Federation (SARF) president Saied Solomons. Solomons is also the CEO of the Southern African Bitumen Association. Joyce Huang contributed to this report. BEIJING - An online campaign protesting the long hours Chinese high-tech employees work has gone viral on the Internet in China. At the same time, it is putting an uncomfortable light on the labor practices of China’s biggest high-tech firms. The campaign known as 996.icu may have been small when it started on Microsoft’s code sharing website Github.com, but now, it is the second highest bookmarked project on the open source collaborative site. It has also spread quickly on Weibo, China’s version of Twitter, where it is a hotly discussed topic. One posting alone had more than half a million views. Chinese programmers came up with the ironic name 996.icu to draw attention to a work schedule reality and problem. The name is a pithy way of saying if you work the 9 a.m. to 9 p.m. six-day-a-week work schedule, you’ll end up in the intensive care unit of a hospital. And while the campaign takes aim at some of China’s biggest tech firms and includes a blacklist that details labor practices, organizers have been careful in their approach to addressing the problem. “This is not a political movement,” the campaign said, in a bullet point outline of its principles and purposes. “We firmly uphold the labor law and require employers to respect the legitimate rights and interests of their employees.” Beyond guidelines China’s labor law states that employers can request employees to work overtime for an hour or even three hours a day, but no more than 36 hours of overtime in total over a month’s period. Clearly, 72 hours a week, goes far beyond that guideline. Labor activists and lawyers, note however, that companies have many ways of getting around the law. According to 996.icu, the 72-hour work week schedule has long been practiced in “secret,” but recently more companies have been openly discussing the arrangement. The campaign notes that in March, e-commerce company J.D. Com said it had begun adopting 996 or 995 work schedules for some departments. Other companies made similar pledges at the beginning of the year. Commenting on its 996 work schedule, J.D. Com said that it was not a mandatory policy, but that all of its employees should be fully committed (to their work). Tougher times Tech companies have always pushed their employees very hard and that has been a problem for many years, said Geoffrey Crothall, of the Hong Kong-based China Labour Bulletin. What’s interesting about the anti-996 pushback is that wages in the tech sector were always much higher than anywhere else, he said. “But now people are being laid off, people are not getting the same kind of bonuses, they are not getting the same pay increases that they are used to and so people are saying I am not getting paid as much, why should I work as hard,” Crothall said. How big the movement's impact will be remains to be seen. Crothall said it is still too early to say whether the campaign will be a game changer or short-term phenomenon. Game changer? The key goal of the anti-996 campaign is to get employers to buy into the movement by attaching an Anti-996 license to software to show their support for labor standards. A push that reportedly is already gaining some traction. Going forward, getting the campaign to move from online to offline will be a big challenge. It is also unclear how long the debate online will be allowed to continue in China’s tightly controlled cyberspace. Already, internet users have reported that some Chinese-made browsers are blocking access to the 996.icu page on Github. A post on Zhihu.com, a Chinese question and answer website that asked what the electronics chain Suning’s view was on the debate was shut down. Earlier posts remain, but a message at the top of the discussion page reads: “this question has been closed for infringing on company rights.” Chinese state media seemed to voice support for the concerns of young high-tech workers and long work hours. An editorial in the state-run China Youth Daily newspaper portrayed young tech workers as being besieged by the 996-work week. The piece argued that it was time for labor regulators to get more actively involved. It also noted that the 996-work week was not just a problem facing high-tech employees, but something workers in other sectors face as well. 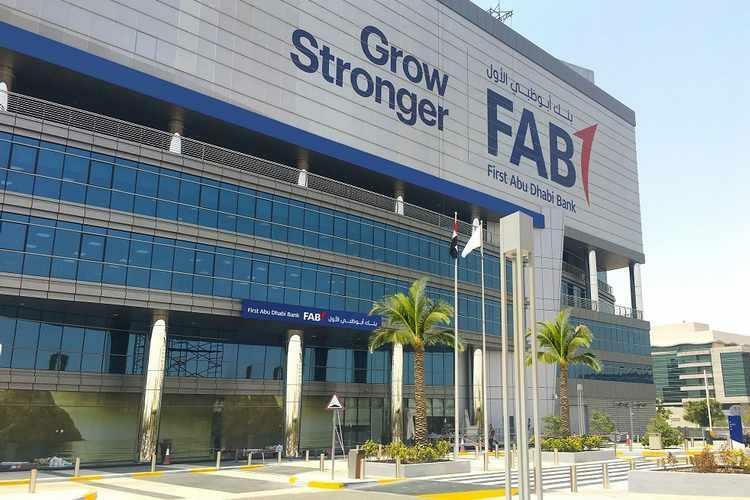 ABU DHABI: Abu Dhabi Islamic Bank (ADIB) and First Abu Dhabi Bank (FAB) denied on Thursday they were in merger talks after a news report said the emirate was considering combining them. “FAB currently has not entered discussions with ADIB to pursue any merger activity,” it said. There has been speculation in recent months of more possible banking tie-ups in light of the wave of consolidation sweeping Abu Dhabi. With around 50 banks, the crowded UAE banking sector has been squeezed by decreased government spending and lower profit margins. Abu Dhabi’s two largest banks, First Gulf Bank and National Bank of Abu Dhabi merged in 2017 to form First Abu Dhabi Bank while another three-way merger of Abu Dhabi Commercial Bank, Union National Bank and Al Hilal Bank is currently underway. Two of Abu Dhabi’s largest investment funds, Mubadala and International Petroleum Investment Company (IPIC) were also merged. The president of the Federal Reserve Bank of New York said Thursday the outlook for the economy remains strong, in comments that offered no hints about what’s next for central-bank interest-rate policy. U.S. stocks struggled for direction on Thursday as traders eyed trade developments as a Chinese delegation holds talks with U.S. negotiators in Washington. The S&P 500 was up less than 0.1% to around 2,874. The Dow Jones Industrial Average was down 5 points to around 26,212. The Nasdaq Composite was up by less than 0.1% to 7,901. Much of the stock-markets gains this year have been attributed to optimism that U.S.-China trade tensions will abate, lifting a heavy weight off the global economy. The Wall Street Journal reported that President Donald Trump will announce plans to meet China's President Xi Jinping on Thursday. In company news, shares of Office Depot Inc. slumped 13% after the office-supplies retailer reported its preliminary first-quarter results. "The whole country is counting on every one of us to do the right thing". This is what Eskom's COO, Jan Oberholzer, wrote to staff in a memo mid-March when the power utility was implementing stage 4 load-shedding to keep the lights on. Alliance Bank Central Texas may have found a way around National Credit Union Administration regulations that make it difficult for banks to buy credit unions. Britain's government redoubled its efforts Thursday to win over the main opposition party in a last-gasp bid to avoid a chaotic exit from the European Union next week. The latest round of talks came after lawmakers tried to safeguard against a doomsday ending to the 46-year partnership by fast-tracking a bill Wednesday night seeking to delay Brexit. May is racing against the clock in a desperate search for votes that could push her ill-loved divorce deal with the other 27 EU leaders through parliament on the fourth attempt. May's spokesman said there would be "intensive discussions over the course of today", noting the "urgency" of the situation. Britain's latest deadline is April 12 and resistance to May's plan remains passionately strong. But increasingly weary EU leaders — tired of Britain's political drama and eager to focus on Europe's own problems — want to see either a done deal or a new way forward from May before they all meet in Brussels on Wednesday. Her European counterparts will decide whether to grant May's request to push back Brexit until May 22 — the day before nations begin electing a new European Parliament. One alternative is to force her to accept a much longer extension that could give Britain time to rethink Brexit and possibly reverse its decision to leave. The other is to let Britain go without a deal on April 12 in the hope that the economic disruption is short-lived and worth the price of eliminating long-term Brexit uncertainties. 'Sense of resignation' May dramatically ended her courtship of her own party's holdouts and resistant Northern Irish allies by turning to the main opposition Labour Party this week. The premier met Labour leader Jeremy Corbyn on Wednesday for a reported 100 minutes of talks both sides described as "cordial" but inconclusive. The EU's chief Brexit negotiator Michel Barnier on Thursday welcomed the cross-party effort to resolved the deadlock. "It's time for decisions," he tweeted. But May's decision to hear out Corbyn's demands for a closer post-Brexit alliance with the bloc that includes membership in its customs union has enraged Britain's right-wing and seen two junior ministers resign. One senior minister said May had no other choice. "It's very simple — there's nowhere else to go," the unnamed cabinet minister told the news website Politico. "There's a sense of resignation about her that 'we get this through and I take the flak'." Pro-European members of May's team also insisted that it was time to compromise on long-standing political beliefs for the benefit of safe resolution of Britain's biggest crisis in decades. "Both parties have to give something up," finance minister Philip Hammond told ITV. "There is going to be pain on both sides." Competing visions May and Corbyn have competing visions of Britain's place in Europe and neither has shown much willingness to compromise in the past. Corbyn said late Wednesday that he did not see "as much change as I expected" from May. The Times newspaper quoted an unnamed government source as saying that May's office thought it more likely than not that the negotiations would fail. May has resisted the customs union idea because it bars Britain from striking its own independent trade agreements with nations such as China and the United States. And Corbyn is under pressure from Labour's pro-EU wing to push for a second referendum that would pit May's final deal against the option of staying in the bloc. Corbyn has shied away from backing another vote due in part to his own sceptical view of Brussels. The Labour-backing Mirror newspaper said May and Corbyn would let their teams negotiate Thursday before deciding on whether to meet again face to face Friday. The Montana company agreed to buy Heritage Bancorp for $241 million. Morgan Stanley analyst Katy Huberty wrote on Thursday that Apple Inc.'s App Store trends look "stable" as the company prepares to launch new services offerings around video and games. The company already began a new news-subscription program. Gaming growth accelerated for the second-straight quarter in March, she wrote, citing third-party data from Sensor Tower, helped by a rebound in China. "We believe that the December quarter will mark a trough for China gaming revenue growth and that growth will accelerate from the March quarter" as China eases restrictions on new game approvals. The entertainment category, which is second to gaming in size, showed a growth deceleration in the quarter, which could be the result of pushback from Netflix Inc. and others around Apple's revenue-share arrangement. Apple shares are down 0.3% in premarket trading, though they're up 32% in the past three months. The Dow Jones Industrial Average has risen 12% in that time. Companies find benefits in health-care costs and results with employees going to their selected doctors. America’s two biggest pharmacy chains are attempting to reverse their sagging fortunes by becoming go-to treatment centers for people with conditions like diabetes, heart disease and hypertension. The Jan. 1 compulsory switch to low-sulfur fuels in oceangoing vessels has triggered a noisy debate and warnings of fuel shortages and crushing new costs along with calls to delay the new rule. Thirty witnesses have lined up to give evidence against the beleaguered tech company, which has been accused by the regulator of misleading the market. Millions of dollars of costs are expected to be cut from Nine Entertainment Co's community newspaper business ahead of the sale of country and regional titles, with staff redundancies being discussed with potential buyers. Older Australians want to work longer and more flexibly but business and government aren’t really onboard it would seem. Wells Fargo said holders of its student cards will see their costs decline by about half as its expands benefits after drawing scrutiny earlier this year for high fees on college campuses. Creamer Media's Chanel de Bruyn speaks to Engineering News Editor Terence Creamer about a media briefing hosted by Eskom and Public Enterprises Minister Pravin Gordhan at the Lethabo power station this week to update the country on the state of Eskom’s power system and whether the country is likely to face more load-shedding over the winter months. The U.S. and China are moving toward “the end game” in trade talks but are unlikely to complete a deal this week, said Myron Brilliant, the U.S. Chamber of Commerce’s executive vice president. Fitch said the Reserve Bank will be on hold for the remainder of 2019 after Thursday's second consecutive 0.25 percent rate cut. Global telematics group Cartrack has appointed Harry Louw as the new CEO for its South African business. Louw is the former CEO of rival Netstar.